We haven't done one of these in awhile, but this is such a great cause - I just couldn't resist. Back in October, in response to my post: Dear Hypothetically Gay Son, I was asked to give a speech at at the National Coming Out Day Brunch hosted by the Utah Pride Center. During that experience I was able to learn more about what the Utah Pride Center does, their mission, and the help they provide to the community. The Utah Pride Center is a life line to so many LGBT families in Utah, especially LGBT youth. I personally know multiple people who have been helped by the awesome work these folks do. Currently they are holding a fundraiser for different programs that they run in Salt Lake City. I've listed a few of them below. I cannot think of a better way to spend my lunch money today, than by giving it to such a great organization. I'm hoping you might do the same. Please consider hoping over to their fundraising page and chipping in the minimum ten bucks. Yes, I know it's Five Dollar Friday, but I'll take a few weeks off FDF's and we can combine them all into this one! Here's me putting my lunch money where my mouth is! 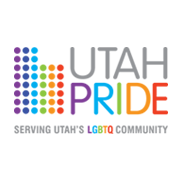 Here's some info on the programs the Utah Pride Center provides! Keeping Kids Safe Campaign – A multi-year project focused on creating policy change to provide greater safety for LGBTQ youth within Utah’s youth serving agencies at creating safe spaces for youth in out-of-home care. Family Preservation Campaign – a multi-year effort providing resources and support for Utah parents and families who have LGBTQ youth. This work includes but is not limited to close collaboration with multiple Utah chapters of the Parents, Friends and Families of Lesbians and Gays (PFLAG). Zero Bully Campaign – Utah Pride provides a support line for students, faculty, friends and family to report incidences of bullying, harassment and violence. Utah Pride then coordinates with appropriate local resources, the ACLU, and school administration as needed. Elements of this campaign are interwoven with Utah Pride’s ongoing work to support and empower Utah Gay Straight Alliances across the state. Utah Pride Marriage Equality Campaign – a six-seven month campaign to elevate Utah voices as Proposition 8 and DOMA are brought before the U.S. Supreme Court in early 2013. VFE recognizes that achieving marriage equality is both a step and a tool on the road to reducing homophobia.